Alumni hit high points for donations and attendance. More than $12 million was raised, surpassing these classes’ last reunion giving by 33 percent. 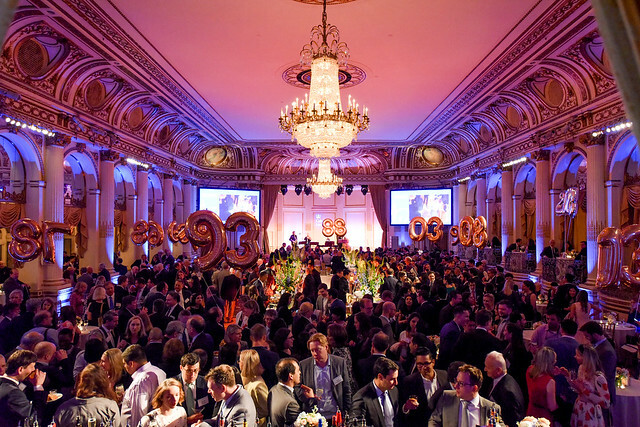 The Class of 1983 donated $5.1 million—the most ever raised by any reunion class in the history of Columbia Law School. The Classes of 2013, 2003, 1988, and 1958 set attendance records for the 5th, 15th, 30th, and 60th anniversary years. The Class of 1968, celebrating its 50th Reunion, had the highest percentage of donors. One of the highlights of the weekend was the Saturday morning conversation between Dean Lester and Antony J. Blinken ’88, a deputy secretary of state under President Obama, who is currently managing director of the Penn Biden Center for Diplomacy & Global Engagement, a contributing opinion writer for The New York Times, and a global affairs analyst for CNN. Check back soon for more photo galleries and videos of the weekend.